Together, Christel House Mexico and RCI celebrated the opening of a newly renovated facility at Christel House Mexico. The facilities will provide at risk students with excellent educations through its elementary school, middle school and high school. The opening ceremony included a musical ensemble played by the children of Christel House, a sports assembly and a guided tour through the new Tacubaya Campus. The event was attended by hundreds of students, parents, supporters and RCI staff from Latin America and North America. 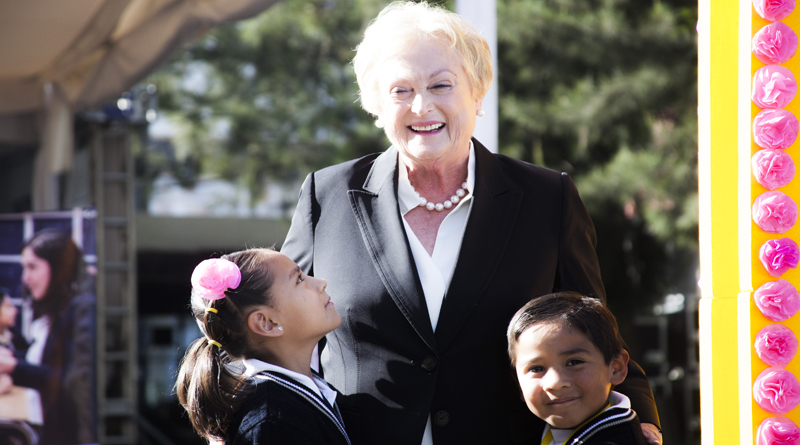 Currently, the attendance rate and retention rate at Christel House Mexico are both 96 percent. Students obtain Cambridge certifications, meals, social services, medical evaluations, and quality education. Christel House Mexico currently serves 420 students, but the growth of the school facilities will raise enrollments to 780 students that will have the opportunity to study here through high school. RCI is committed to supporting programs that improve social causes and provide society with tools to provide a better future for their children. RCI associates make contributions and devote countless hours directly to this important cause. RCI is the worldwide leader in vacation exchange with over 4,300 affiliated resorts in nearly 110 countries. RCI pioneered the concept of vacation exchange in 1974, offering members increased flexibility and versatility with their vacation ownership experience. Today, through the RCI Weeks® program, the week-for-week exchange system, and the RCI Points® program, the industry’s first global points-based exchange system, RCI provides flexible vacation options to its 3.8 million RCI subscribing members each year. RCI’s luxury exchange program, The Registry Collection® program, is the world’s largest program of its kind with approximately 200 affiliated properties either accessible for exchange or under development on six continents. RCI is part of Wyndham Destination Network and the Wyndham Worldwide family of brands (NYSE: WYN). For additional information visit our media center or rciaffiliates.com. RCI also can be found on Facebook, YouTube and Twitter. Much more than a school, Christel House was established in 1998 by Founder and CEO Christel DeHaan, and currently serves over 4,600 impoverished students through seven learning centers — located in India, Mexico, South Africa and the U.S.A. Christel House students maintain a 99% graduation exam pass rate, and the majority of its graduates go on to pursue higher education. They become productive citizens, and many secure employment with top multinational corporations. Christel House graduates are confident, hardworking, responsible and ethical, with a passion for giving back to their communities and caring for their families.